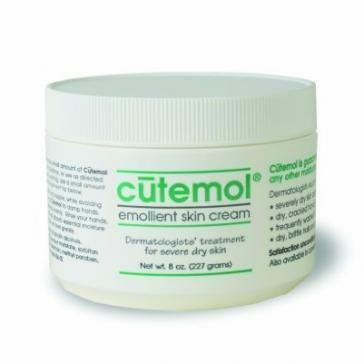 Cutemol Emollient Cream 8 oz. | YourHealthySkin.com - Carolyn J. Pass M.D., P.A. Cutemol Emollient Cream 8 oz. An exceptional hand cream that is extremely effective for dry, brittle nails and damaged cuticles. A healing product for split fingertips and heels. Excessive dryness resulting from exzema can also be benefited. 8 oz.